We are pleased to now offer the interactive dashboards above and would appreciate your feedback on these and the other workforce publications. Send us your thoughts: workforce@abpeds.org. Download the current, complete Pediatric Physicians Workforce Data Book. The ABP’s Workforce Methodology Summary describes the history of the ABP’s reporting efforts, the methodology we use for data collection and reporting, guidance on data interpretation, recent changes to the reporting efforts, key definitions, and more. 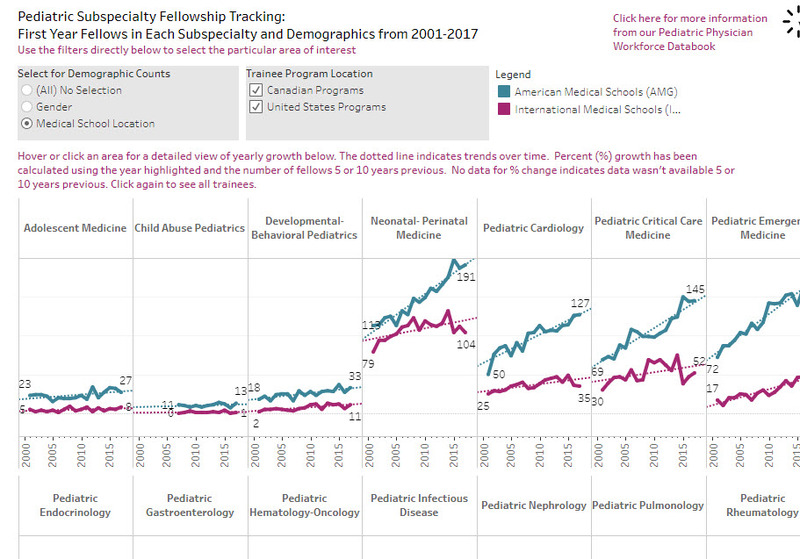 Tracking the pediatric physician workforce is essential for understanding its makeup, numbers, distribution, and practice patterns, but it is not just about publishing numbers. 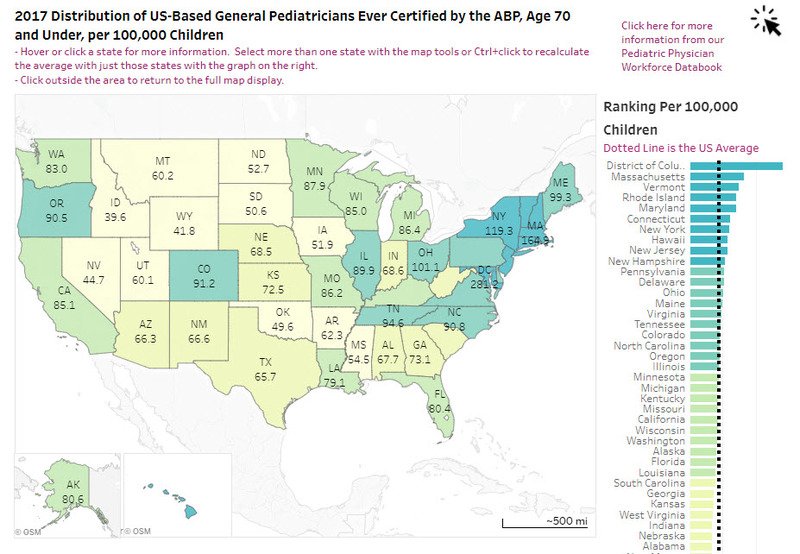 We believe these data provides valuable information to pediatricians, pediatric residency and subspecialty training program directors, hospital administrators, policymakers, researchers, and others interested in ensuring that we have the skilled workforce necessary to meet the health care needs of infants, children, adolescents, young adults, and their families. While these data are collected primarily to inform operational activities at the ABP and the pediatric community, a number of secondary analyses have been conducted using these data and have been published in the peer-reviewed literature. For further information about the Workforce Methodology Summary, contact us at workforce@abpeds.org. Copyright information and citation can be found on the second page of the book. Use our interactive Publications database to search for publications related to the ABP's workforce-related research. Previous years workforce data books are available for access below. 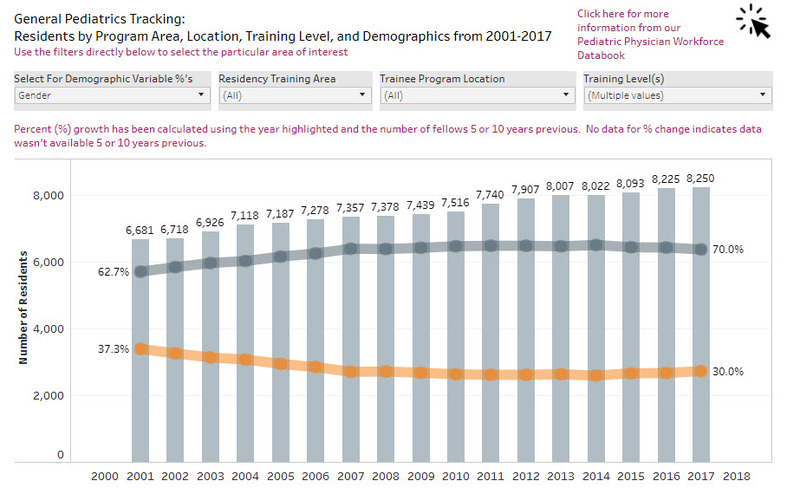 Please use caution with comparisons of previous years book to the 2016-2017, and 2017-2018 version of the Pediatric Physician’s Workforce Data Book. 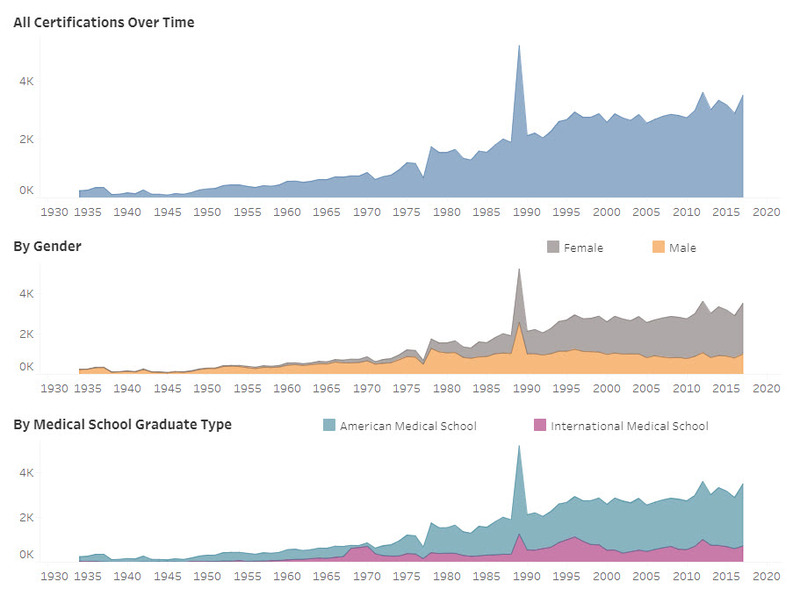 These later editions have removed Canadian programs from the residency and subspecialty tracking data. For more information of this change, please visit the ABP’s Workforce Methodology Summary.